The Bellingham Herald serialized a fictional, but realistic story about surviving a Cascadia megaquake on its op-ed pages. Do you have two weeks of food, water and other essentials to survive after a catastrophic earthquake or other disaster? Most Pacific Northwesterners mean well but aren't prepared. In Portland, on the Washington Coast, in British Columbia and now in Bellingham, writers tackled The Big One in serial form to motivate people into action. 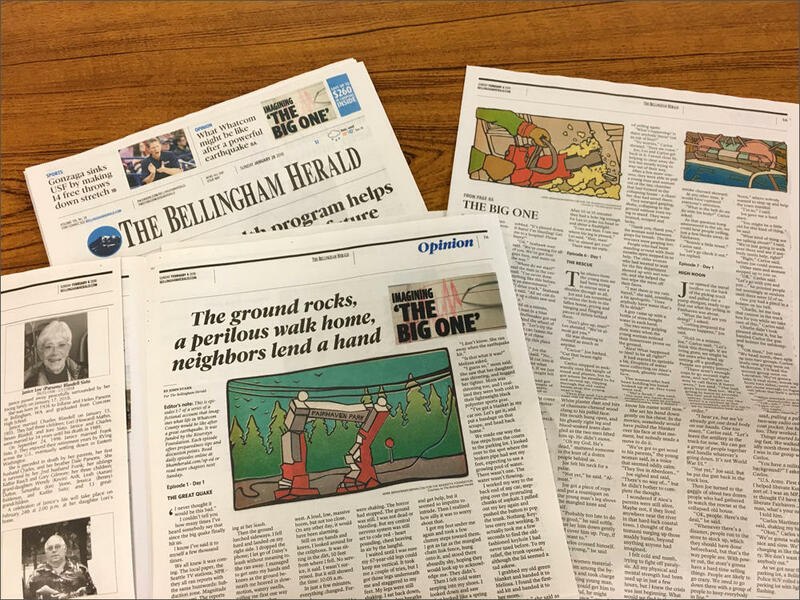 In the Bellingham case, a family foundation, a writer and a newspaper settled on fiction storytelling as the most effective format to break through complacency. The writer's name is John Stark. He stepped away from a long career as a newspaper reporter a few years ago. Stark was enjoying retirement in Bellingham when the phone rang last spring with a freelance offer. A local foundation wanted to commission a writer to imagine realistically what life would be like in Bellingham during and after The Big One—a roughly magnitude 9.0 earthquake arising from the offshore Cascadia fault zone. The project turned into a 27 chapter novella, serialized over the past month in the Bellingham Herald. "I actually had a first draft where we had looting at the supermarket and guns drawn and shooting and all this kind of thing,” Stark said. “It was a lot of fun to write. I thought it was pretty exciting. But when all was said and done, I realized that it was not only not realistic, it was also not constructive to lead people to expect that kind of thing." 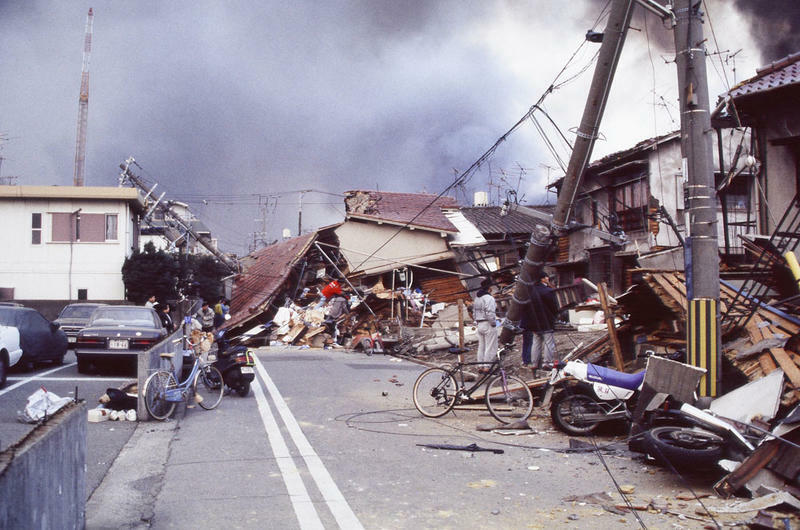 Stark revised that scene and others after consulting earthquake and disaster experts. They told him emergencies tend to bring out the best in most people. Stark said the hurricanes that swamped Texas and Puerto Rico, California wildfires and a damaging earthquake in Mexico happened while he was writing. They informed his story, for example a scene of neighbors banding together to fight a house fire. The fictional characters also spend a lot of time scrounging for food because disaster relief is slow to arrive, as is likely to happen in real life. The Riverstyx Foundation in Bellingham conceived and funded the "Imagining the Big One'" project at the instigation of its president, businessman Jim Swift. Foundation director Heather Flaherty said they were concerned by lack of preparedness and wanted a novel way to engage people. "It seems like the facts are not working,” she said. “Or they're working to a point, but how do we get people to take action. So how can we draw people in in a way that is interesting and fun and we educate almost as a head fake? You're learning through entertainment." Flaherty and Stark said they're delighted with the response to the storytelling approach. Readers emailed or commented that they were inspired to take steps to improve their emergency kits. 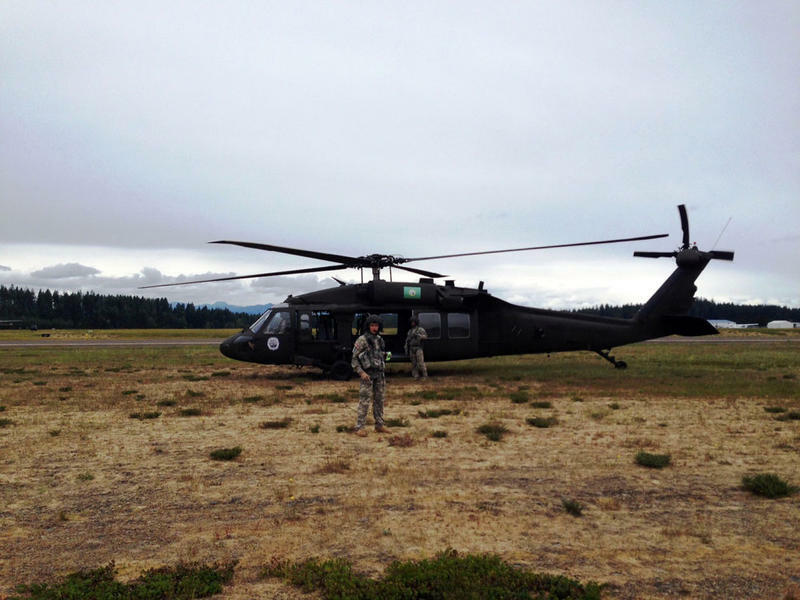 Independently, Grays Harbor County Deputy Director of Emergency Management Chuck Wallace started writing a similar story of misfortune set in his area. He has finished the first two chapters of what he envisions as a six chapter online story project. Titled "Moments of Misfortune," each new installment comes out first in the department's digital newsletter, with a new chapter every two months. The tale includes multiple earthquakes, a school collapse and tsunami. "People pay attention to the stories,” Wallace said. “And when you give them the story, they're not playing on their phone. It kind of brings things home. You're not telling them that the world is going to end today. You're just saying this is what could happen." "We remember stories way more than we remember factoids,” Flaherty said. You could say there's a burgeoning literary tradition here. The online magazine Motherboard used the term "reported science fiction" in 2016 to introduce a five-part series about the aftermath of a Cascadia megaquake in Portland. CBC Radio Vancouver took the same premise to southwest British Columbia for a limited-run podcast. All of these projects fold practical tips that you've maybe been ignoring into their stories or in "news-you-can-use" sidebars. Vulnerability assessments by utilities and emergency planners along the U.S. West Coast suggest it could be weeks or a month or more before water service gets restored after a major earthquake - not to mention electricity, sewage treatment and fuel supply too. The social and economic disruption does not have to be that bad though, given adequate preparedness and investments in critical infrastructure as demonstrated in Japan. Big earthquakes happen infrequently enough in the Northwest that people can be lulled into complacency. That’s not the case in Japan. 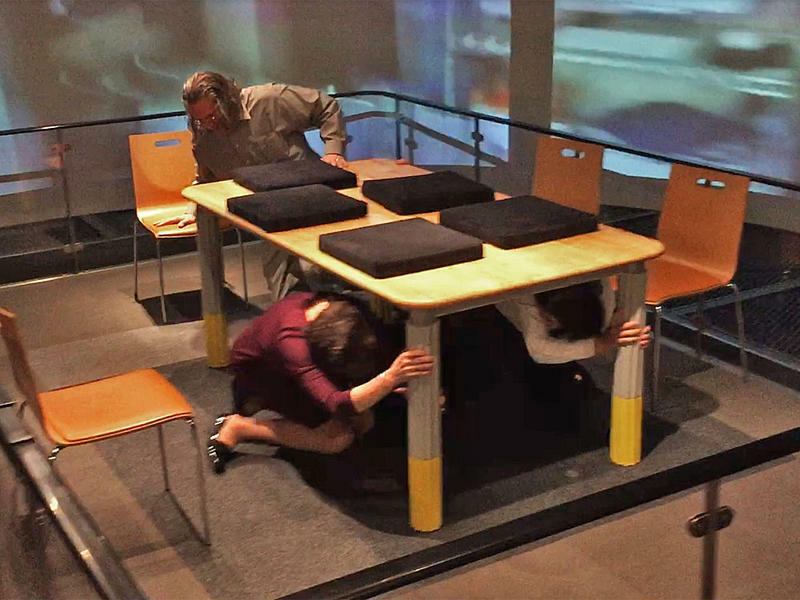 Most large Japanese cities have at least one disaster training center, where people can learn in realistic simulators what to do in an earthquake, typhoon or fire. Leaders from the Pacific Northwest who have seen these centers say it’s a concept worth copying. The report cards are in and it's not pretty if you worry about how you'll fare after a magnitude 9 Cascadia megaquake and tsunami. Washington and Oregon's emergency management divisions have now published after-action reviews of last June's multi-state disaster drill called Cascadia Rising . More people than ever—1.2 million in Washington state and more than 570,000 in Oregon—are registered to participate in the annual Great ShakeOut earthquake and tsunami drill Thursday morning. Not coincidentally, a Washington state agency is using this week to highlight how the Evergreen State needs to play catch up with neighboring states on earthquake preparedness. 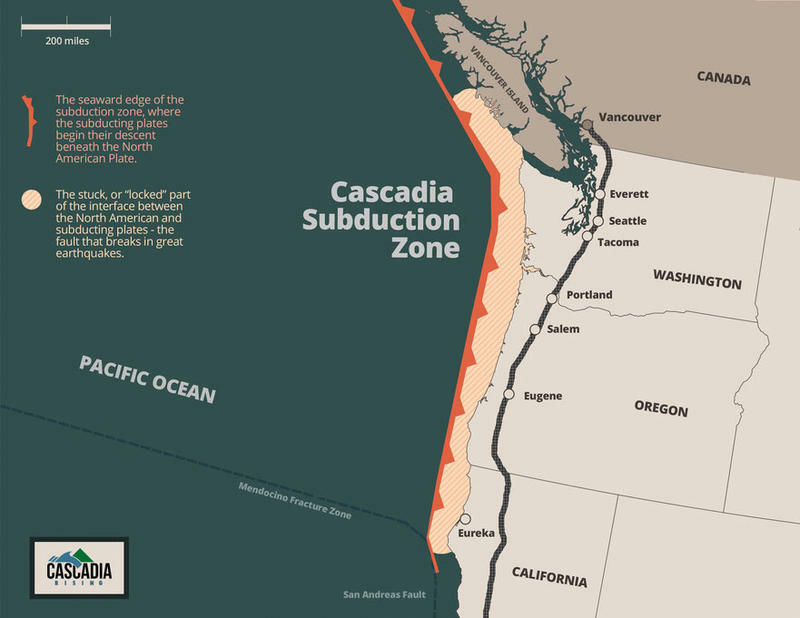 Emergency responders in Washington, Oregon and Idaho this week are practicing for a subduction zone earthquake. It’s part of a regional drill called Cascadia Rising -- billed as the largest earthquake simulation in Northwest history.